Article written by Dimitris Papadimoulis, Vice President of the European Parliament, head of Syriza party delegation. 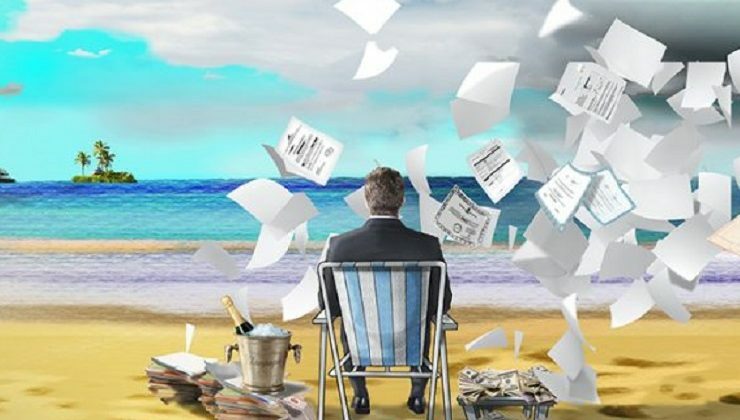 The revelations on Paradise Papers constitute a global issue that affects all governments and citizens. For another time we are witnessing an expansive tax evasion scandal wandering around the shoulders of the tax payers. The European Union’s response is delaying in an almost provocative manner. Especially when we have to deal with failed austerity policies that have weakened social cohesion and growth prospects, and when we are observing member-states, like Germany and the Netherlands, that keep denying to adopt in their national legislation a strict legal framework entrenched with the relative sanctions for all those that resort to tax evasion, things can get even worse. No matter how important the role of investigative journalism might be, it is not enough to put an end to tax evasion. We have the previous experience of the Panama Papers and we do acknowledge the limits or other burdens of technical, legal and political nature towards addressing tax evasion. The existence of tax heavens in Europe and the systematic tax evasion of trillions of euro via the functioning of a “parallel system” are damaging national economies, especially the most vulnerable ones. The lowering of public income rate has a direct impact on the economic and social policy, and broadly on the empowering of a welfare state as the income poured into tax heavens has a restrictive effect on public spending in sensitive areas, such as education, healthcare and social insurance. At the same time, tax evasion is correlated with another colossal issue: that of corruption and the impact of economic interests over politics. This is something that has been repeatedly proven in the recent past. The European Commission and especially the European Council have to strengthen transparency in the member-states, forcing multinationals to adopt binding agreements and publish their financial data, while enforcing sanctions on tax heavens and their administrative authorities or even pushing for creating motives to unveil evasive income. Despite all difficulties on the implementation of the previous policies, we have to point out that political will alongside effective coordination between different actors in national and European level can bring about significant developments. The Greek government has invested in tackling tax evasion and unveiling evasive income, although much is yet to be done. To that end, the EU has to support the Greek side more concretely. In any case, it is certain that such revelations contribute to the exchange of information and exert pressure against the political leadership. But as long as anomy is maintained, EU citizens’ trust and confidence over the elected leaders and the EU overall, will keep being at stake.